After 18 years as Chief Executive Officer of Toiyabe Indian Health Project, David Lent was fired by a board vote of 7-6. Describing the past 10 weeks as a nightmare, Lent laid into the board before the vote was taken. He announced he had the resignation letters from Chief Financial Officer Mary Daniel, Human Resource Manager Cyndee Kiddoo, Medical Director Nancy Fong and a retirement letter from Chief Operations Officer Rick Frey. All but Fong had been suspended, along with Lent, on July 14 in response to allegations brought by a staff person in the HR department, Geraldine Weaver. One TIHP board member from Big Pine, Dave Moose tried to stop Lent from speaking prior to the termination vote, but his motion was voted down. Those who voted to terminate Lent were Moose and Gina Jones from the Big Pine Paiute Tribe of the Owens Valley, Earleen Williams and Jeff Romero from the Bishop Paiute Tribe, White Dove Kennedy from Timbisha Shoshone Tribe and Tina Braithwaite and Shane Saulque from Utu Utu Gwaitu Paiute Tribe. Bridgeport Indian Colony (Henry Glazier, James Ybarra), Lone Pine Paiute-Shoshone Reservation (Richard Button, Robert Zucco) and Fort Independence Indian Reservation (Marilyn Bracken, Rick Maddux) voted to keep Lent on board. The Chair, George Gholson, only votes to break a tie. One notable irony: the board decided earlier this month to meet with Lent, announcing the fate of the three suspended administrators would be in Lent’s hands since the board only had authority over the CEO. After responding to allegations made by Weaver, Lent returned to TIHP and brought Frey, Kiddoo and Daniel back last week. Now all four are gone. The 7-6 vote has been consistent in the board’s dealings with the administrators since the four were suspended July 14. That rift in the 14-member board is one absolute that can be picked out of the rumors and allegations of racism against both non-Native employees at the clinic and non-Native patients. 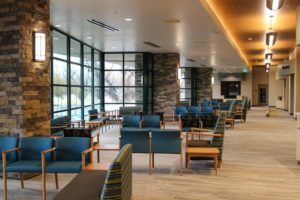 Unfortunately, according to reliable sources, the expansion of services offered by Toiyabe is financially dependent on serving all communities in addition to Tribal members. As an example, one of the grant deadlines that passed while the administrators were suspended supports Toiyabe’s Coleville clinic. During her brief return to TIHP, former CFO Daniel managed to get an extension on the deadline from September 9 to September 29, this Friday. The specific grant funding requires the clinics provide services to everyone. Sources have also confirmed the Bishop Paiute Tribe would be held liable for the $14 million loan if Toiyabe goes under. Following the official termination of Lent yesterday, the Board opted to have the executive committee meet and come up with an action plan to fill the now five vacant positions on an interim basis. In the words of one of our sources, TIHP has been a “rudderless ship” since July 14. The awful truth is that the board, and the local tribe, have been unhappy with allowing non-tribal members to use the facility, and are removing the non-tribal upper management as an underhanded way of dealing with this animosity. But the reality is that such a facility cannot afford to operate without extending services to non-tribal patients, hence the decision some time ago to open the clinic to the general public. This is tribal politics, plain and simple, and will end up closing this clinic and costing the tribe millions. Goodbye Toiyabe. My family and I have been patients there for quite a few years. No longer. I’ve read and heard of this debacle since the beginning and I will no longer trust my healthcare or my healthcare dollars go to a “clinic” that does not treat all equally. You will be losing patients and I am sure providers. It’s a shame to see such a beautiful facility being destroyed from within. Ndn politics at its Best .. This is a great way to demonstrate that the board has no clue what they’re doing. How unprofessional can you be? Good luck finding Native American licensed providers. As far as I know, they don’t exist. What’s sad is that they built a $17.5 million dollar facility and the board wants less patients? That’s like opening a business and trying to get less customers. Hospitals are businesses. And it takes someone with a Master’s in Business Administration to run a hospital. So, what needs to happen is a Paiute needs to leave Bishop, go to college and finish and then get their Master’s degree so they can run the hospital. Hospitals are all about regulations, licenses, inspections and laws and it takes more then a Owens Valley high school degree to run one. What will happen is that Toyaibe will keep losing customers and will default on their multi-million dollar USDA loan. The white doctors and nurses that work there won’t be able get paid and will leave and the clinic will close because the providers are gone. Then the Native Americans will have to go to Northern Inyo Hospital, with is run by white people. Reap what you sow.